When you buy a vehicle from Tesla, be it a Model S, Model X, or Model 3, you get a portable EVSE with it. That's basically a simple device that allows you to charge your car from several different types of electrical outlets if there are no proper charging stations or high-power home charging station available. While they may look similar, apparently they are not necessarily the same. So, what the difference? The main disparity is the speed at which it can charge your car. The i1Tesla Youtube channel helpfully documented the discrepancies and posted this helpful video, the main findings of which we'll go over below. Now, if you haven't watched the video yet, you should. At seven minutes, it's pretty short and points out a couple physical differences with the two pieces of equipment. Basically, what happens, though, is that he tries charging his Model 3 first with the portable EVSE from his Model S, and again with the one that came with it. Then, he later performs a short charging session with his Model S, using its proper portable EVSE. As we mentioned earlier, the difference all comes down to speed. The Model S portable EVSE allows a full 40 amps of power, at 240 volts, to flood through its wires and charges the Model 3 at a rate of 33 miles per hour. When using the Model 3's EVSE, however, only 32 amps were allowed to make their way to the battery, which turns to out be a rate of 27 to 28 miles per hour. 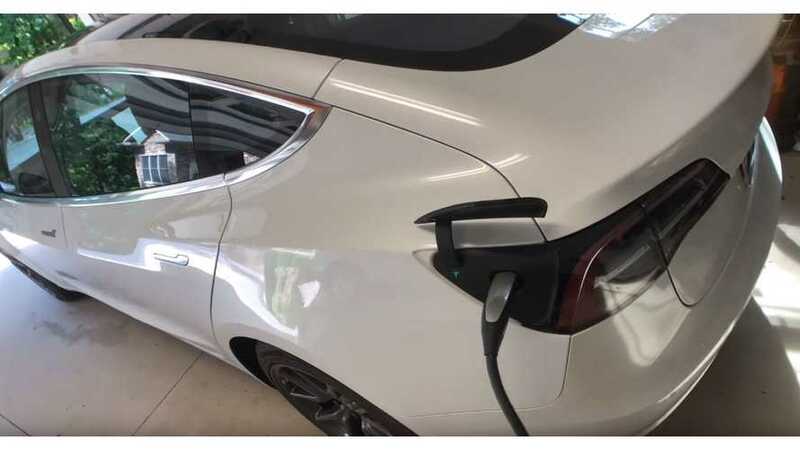 While the different charging speeds might not make impact the vast majority of owners who charge overnight, in some cases Model 3 owners may want to seek out a Model S portable charging cord to take advantage of that full 40 amp capability. Tesla, which refers to this item as a "Model S/X Corded Mobile Connector" offers it on its website for $520. A quick look at eBay tells us you can probably pick up from an auction site for somewhat less.